Make/do Workshops Update… & prizes! Just 2 weeks into our pop-up, we have had some great workshops, and some happy crafters going home with new skills & homewares. See the photos on our facebook page. No previous experience necessary, but also perfect for those who just need a refresher, or want to learn the next steps, tips & techniques. In this class you’ll get all you need to knit a cosy pair of arm warmers designed by our own Tegwen. Come armed (geddit!!) with any knitting queries you have. Sign up for this class and you will be in with a chance to go home with a handmade needle roll full of knitting needles, plus a needle gauge, ready for the next project you take on… and the one after that! The lucky winner will be chosen from a hat… very technical! A change from the advertised bag, we are making this a second run of the Sew a Cushion class by popular request. Learn the basics of the sewing machine, get in some practice, and then make your own cushion to take home by the end of the class. During this week, and over the weekend we’ll have plenty of ideas for you to come and make something for Father’s Day. Either come with Dad to do something together, or you could make him a surprise to present to him on Sunday. Get ready to come and have a go! We’ve ideas for kids from age 3+. No need to book, just pop in. So how do you move on from there and start making other things with those new-found skills? The Village Haberdashery (who supply all our fabrics) have come up with a simple and quick skirt tutorial. Her 30 Minute Skirt blog post is pretty simple to make and only needs a rectangle of fabric, thread and some elastic. So you could get going on that tonight! Or if a tube skirt is more your thing, try this from Ma Nouvelle Mode. A great way of using up some of those smaller pieces in your fabric stash, A quick drawstring bag can be made up in a couple of hours and starts as a basic rectangle, then just add a ribbon or cord drawstring top by folding over the top opening. Makes a perfect gift. Basically an extension of a rectangle, but with a little bit of gathering, a draped top is perfect for summer. There are a few patterns around online, or you can make the one in the Great British Sewing Bee: Sew Your Own Wardrobe Book. Luci Kimmings blog takes you through how to do it, plus the details in the book are pretty straight forward. If you’d like a bit of hands-on help then come to our Tops class on Thurs 26th June where the author will giving a masterclass with your personally shaped pattern. If you are into loads of crafts then you’ll be needing a needle roll to keep all your bits together. IT is basically a square with a few other straight lines to sew. Check out this tutorial for the instructions. 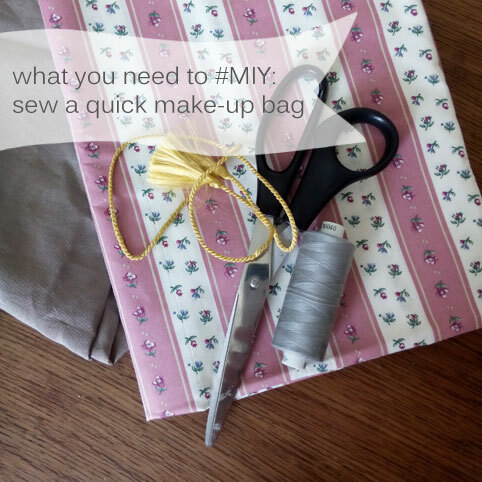 We’d love to know what tips you have for easy starter projects for sewing machine skills. 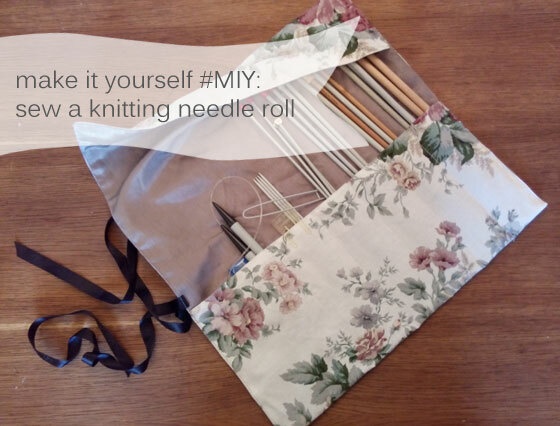 Keep all your needles ordered and neat and #MIY a really simple to make knitting needle roll. 2 complimentary fabrics about 70x45cm – this will be good for the usual 40cm needles. If most of yours are longer, then adjust the long side accordingly. A long ribbon or cord at leas 40cm long. It will be doubled up and need to wrap around the roll and tie in a bow. 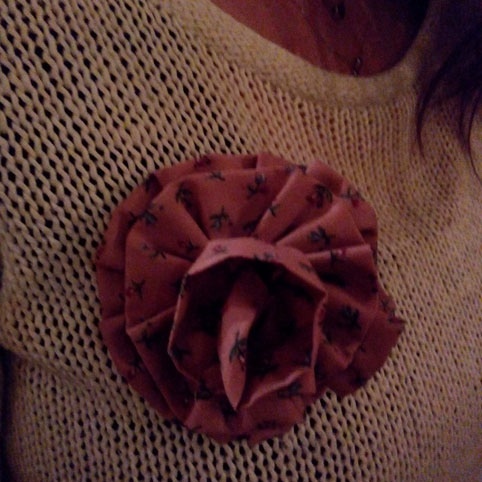 Quick, easy and cute. 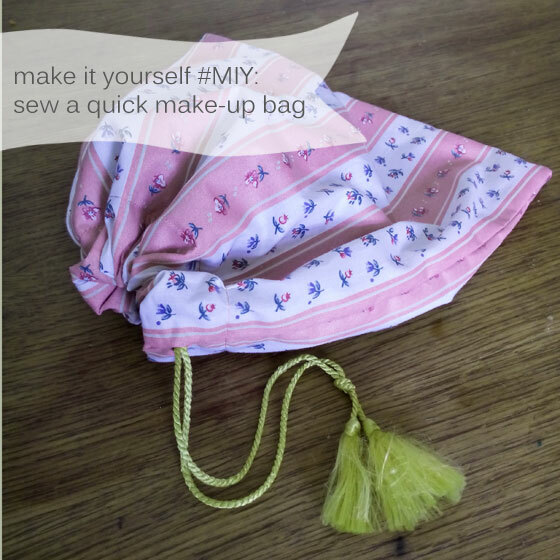 This little drawstring bag has multiple uses, can be adapted to be made in various sizes or fabrics, and also is a perfect little gift when filled with a few cosmetics (or cookies). – 2 complimentary (or contrasting) fabrics. One for the lining, and one for the outside. If your foundation always leaks, you may choose touse a wipe-clean fabric for the lining. Alternatively, just stick it in the wash every so often… – a ribbon or cord three times the width of your bag. If you’re making something out of a sheer fabric like chiffon, voile or tuile, too, a French seam is particularly good, as you don’t want to see an unfinished – or even a finished! – raw seam through your garment. 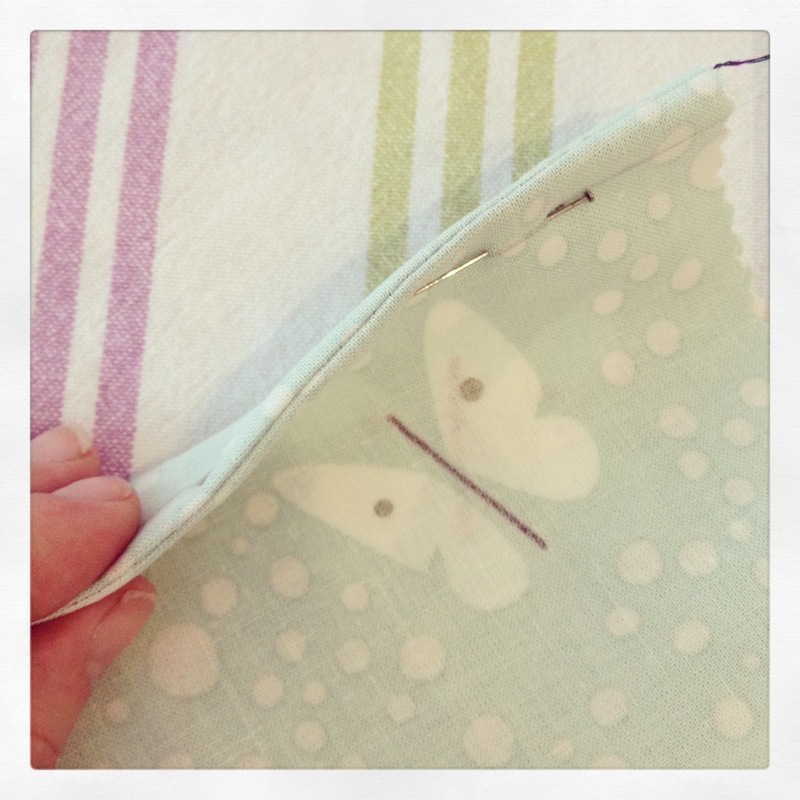 French seams encase any raw edges and give a lovely, neat appearance. Perfect for a super speedy gift idea, we managed to put this tutorial together during an evening at the pub. You could still make one in time for Mothers Day, or make for friends’ birthdays the night before… I can’t be the only one with a horrendous memory for dates! As you’ll see from the atmospheric lighting in the photos, the roaring fire and the slowly emptying glass of wine, we really did make this in one evening, whilst chatting at the pub. 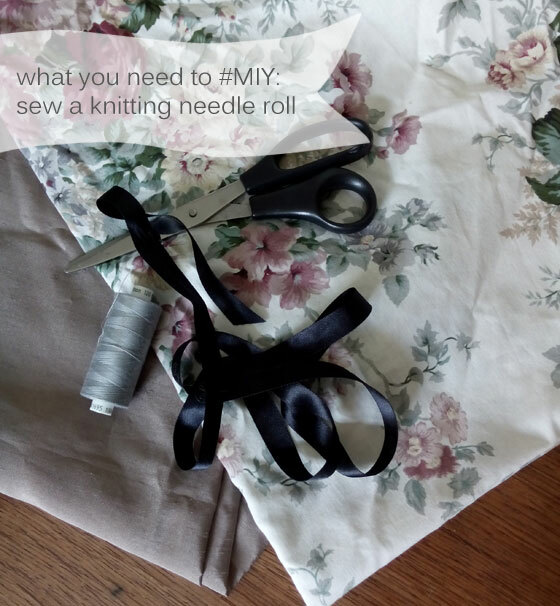 So with this Make it Yourself (#MIY) tutorial you can make/do something new.